Last month we featured the Pharos pendant, a sleek light that looks best when grouped in tight bouquets. This month, we are featuring Niche's most popular pendants, a trio of circular glass lights with varying bulb and color options. When paired together, these three pendant lights create a unique arrangement of hand-blown lighting. The Orb Series consists of three shapes: the Solitaire, the Solitaire Petite, and the Binary. The Edison bulb at the center of the signature Solitaire pendant and the cylindrical shape of the glass body harmonize to accentuate enduring quality and beauty. The Solitaire Petite is the smaller version of Niche's classic spherical silhouette and was brought to Niche's pendant line by popular demand. The allure of the Binary pendant is the presence of two bulbs at the pendant’s center, radiating rich, ambient light. 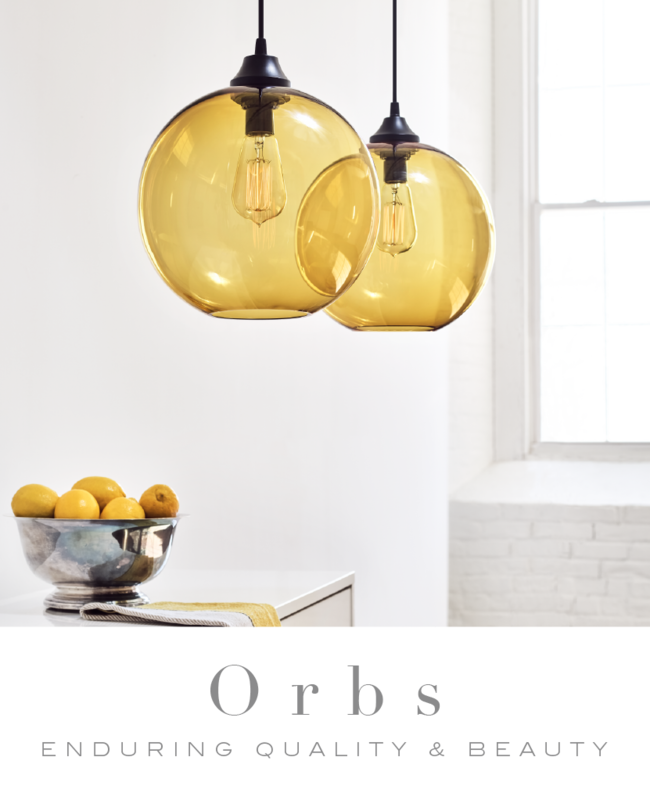 Available in an array of classic colors, the orbs are the perfect accent to any interior.